Included amongst the many announcements in the UK’s Autumn 2018 Budget (a reminder of which can be found here: Update : Autumn Budget 2018) was the reintroduction of a somewhat familiar friend : a “secondary preferential” status for HMRC in respect of claims for taxes collected by a business on behalf of others (i.e. VAT, PAYE (including student loan repayments), National Insurance Contributions and construction industry scheme deductions) where that business subsequently enters into a formal insolvency process “holding” those funds. Presently, and following the removal of the Crown preference under the Enterprise Act 2002, such claims rank as ordinary unsecured claims in a formal insolvency process. The changes are proposed to take effect from 6 April 2020, with legislation included in the Finance Bill 2019-20. Taxes owed by the business itself (i.e. corporation tax, employer NICs) are not affected, although HMRC will remain entitled to participate in the prescribed part in respect of any such claims. The UK government is proposing to amend insolvency legislation to provide for a new “secondary preferential” status within the existing, statutorily prescribed, orders of distribution. HMRC’s claim for those taxes affected would thereafter rank ahead of the claims of floating charge creditors – generally debt providers – and those of ordinary unsecured creditors. It is also proposed that HMRC would have the benefit of “secondary preferential” status for the full extent of a business’s liability for those taxes affected, regardless of the length of time that liability has been outstanding prior to formal insolvency, and including also penalties and interest arising from those taxes. 1. Recognising that certain insolvency processes (receivership and liquidation, as well as sequestration (bankruptcy)) are devolved matters, the consultation notes that a legislative consent (Sewel) motion “may be required”. The extent to which the Scottish government will support a motion that affords HMRC a preference over ordinary unsecured creditors, such as other businesses in the supply chain, remains to be seen. It is worth also noting that taxes payable to Revenue Scotland are not affected. 2. The consultation makes careful reference to “businesses”. 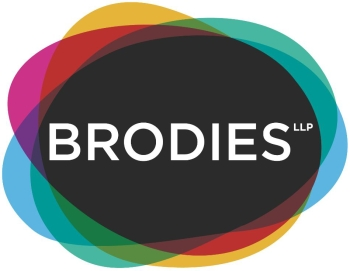 However, the proposals and impacts are framed within the corporate sphere – referencing floating charges (which are not able to be granted by sole traders or Scottish partnerships) throughout. The extent to which the proposals are intended to affect also personal insolvency processes, which apply to sole traders and to Scottish partnerships – both limited and unlimited – who also trade and gather and hold the relevant taxes on behalf of HMRC, is also unclear. For Profit Providers of Social Housing: Good or Bad? Current thinking on LIBOR replacement and how will this affect Borrowers?